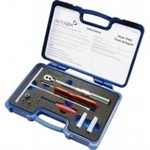 We stock a range of tyre pressure monitoring systems (TMPS), service kits, diagnostic and torque tools at excellent prices. Our selection includes TPMS sensor valves, the Truflux / Pang TMPS Service Kit & ATEQ TPMS Tool. Please browse our selection of products below or contact us for more information. T-pro programmable TPMS sensor valve from Truflex/PANG T-pro programmable TPMS sensor valve from Truflex/PANG Fitting tool for the servicing of TPMS valves. Adjustable from 1nm to 8nm and supplied with 2 hex sockets and a Torx 10 bitet. The PANG TPMS service kits include everything you need to properly service TPMS equipped tyres and rims. KEN TOOL reCore kit. 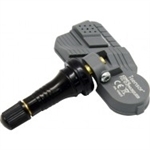 Saves broken TPMS valve stems Complete TPMS solution with 4 sensor valves and programming and diagnostic tool The VT56 is a fully updateable, universal TPMS tool. 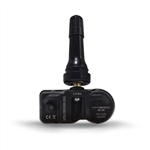 Designed to activate all TPMS sensors and store the sensor data. Using the OBDII connector this data can be transferred to the vehicle to reset the ECU when a sensor is replaced or wheel positions are changed. All popular programmable sensors can be programmed with the VT56.